Seizure Warning WARNING: This video may potentially trigger seizures for people with photosensitive epilepsy. Viewer discretion is advised. In 2010 ACC began a revolutionary project to transform the aging Highland Mall in Central Austin into a state-of-the-art college campus and regional center for workforce training and lifelong learning. ACC Highland is now a forward-looking learning environment that anchors a planned mixed-use development with apartments, retailers, businesses, and hotels. 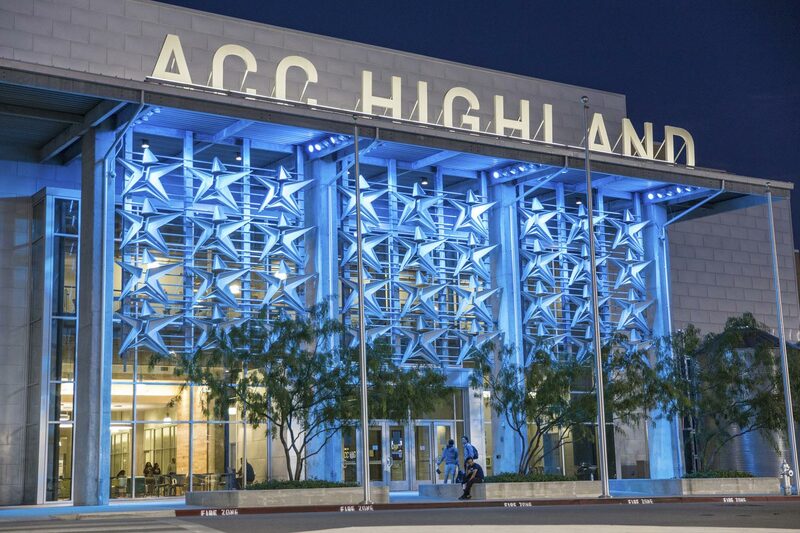 The first phase of ACC Highland is the Highland Campus (HLC). HLC opened in August 2014 and features classrooms, a library, study areas, and the ACCelerator, the nation’s largest computer learning lab. Phase 2 of the project adds flexible, advanced facilities for the cutting-edge career-technical education and hands-on experience needed for today’s jobs. *Final costs and timelines subject to change. A new Austin neighborhood rich in history, energy, and opportunity. As the Project Director (for the Rouse Company) of Highland Mall which opened in 1972 and operated successfully for 30 years, I am excited to learn about the fabulous reuse of this facility. The development process back then was greatly aided by the City of Austin and and its wonderful citizenry which were welcoming in all respects. As my first major project for the Rouse Company, it was a joy to have been evolved both with the project and the City.